A Little Prince Is Born! This is a mixed media painting I did several years ago but I thought it was fitting to re-post today. This entry was posted on July 22, 2013 by mpwynters. 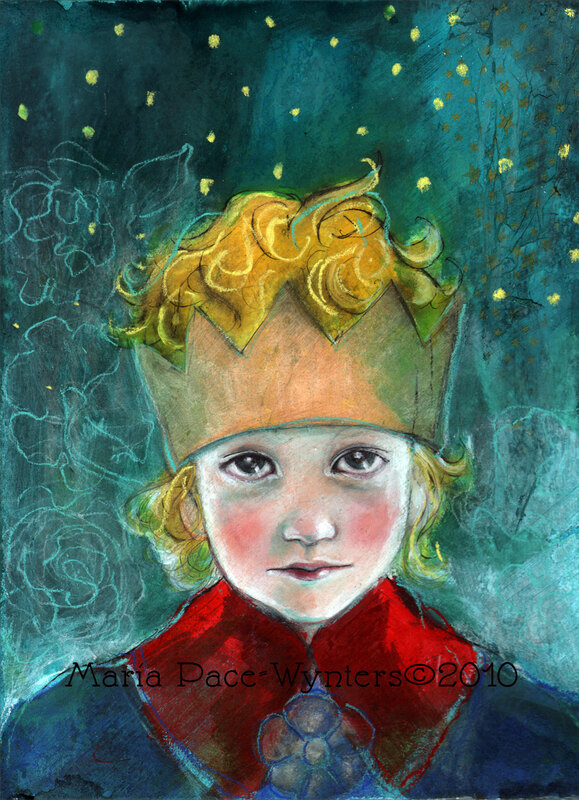 It was filed under Uncategorized and was tagged with art, born, etsy, illustration, kate, little prince, Maria, Maria Pace-Wynters, maria pace-wynters. mixed media, original art, original painting, Pace-Wynters, Painting, painting for sale, william. Welcome to the Royal Little Prince and your your little Prince. Someone should send a copy to the Royal parents!! Absolutely love your work. I love to paint women — sort of Klimt style. But I see a little of you creeping into my newer paintings. I’m at http://imageevent.com/artbyamy.